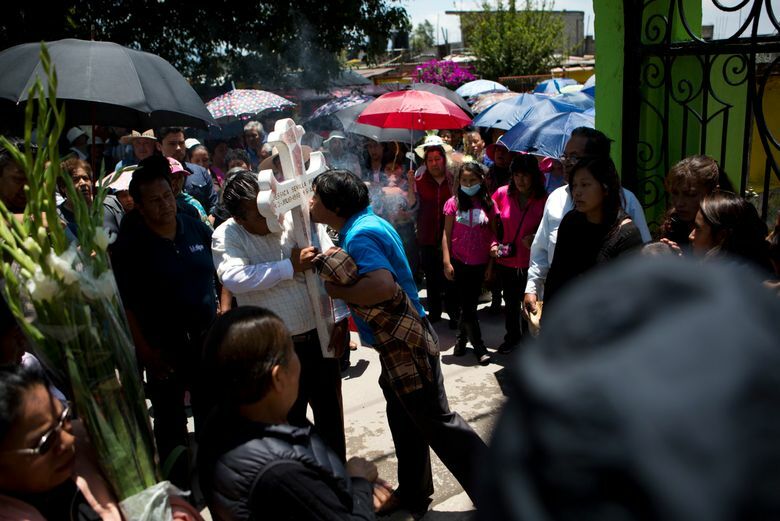 A wave of killings of women is plaguing Mexico's most populous state. The motive seems directly related to gender. Often the bodies are mutilated and dumped in a public place — which many read as a message to other women: There is no safe place. 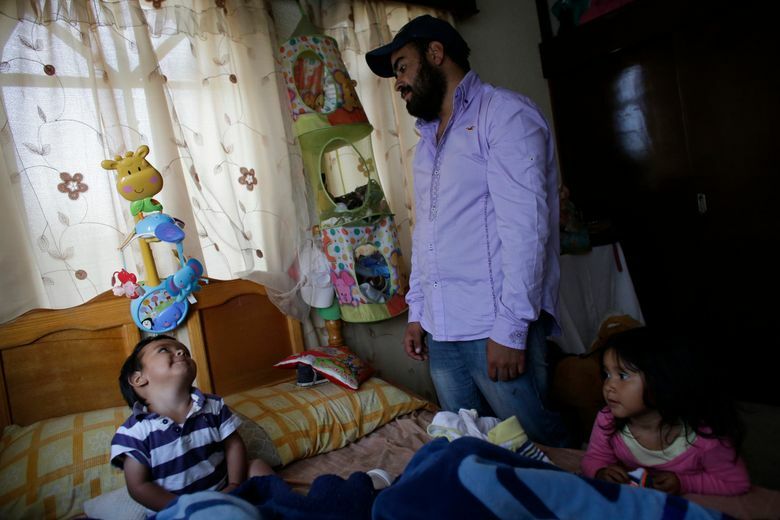 VILLA CUAUHTEMOC, Mexico (AP) — Just like any other day, Dr. Jessica Sevilla Pedraza went to work at the hospital that morning, came home for a quick lunch and then left again. The plan was to see more patients, hit the gym and be back in time for her usual dinner with dad before he went to his night-shift job. Instead a hospital co-worker showed up at the family’s door in the evening. She said a man had come in with a bullet wound in his leg and told doctors he had been with Sevilla when gunmen intercepted them, shot him and took off with the doctor in her own car. Two days later Pedraza identified 29-year-old Jessica’s body at the morgue. She had been shot in the head and decapitated, and the skin had been flayed from her skull. 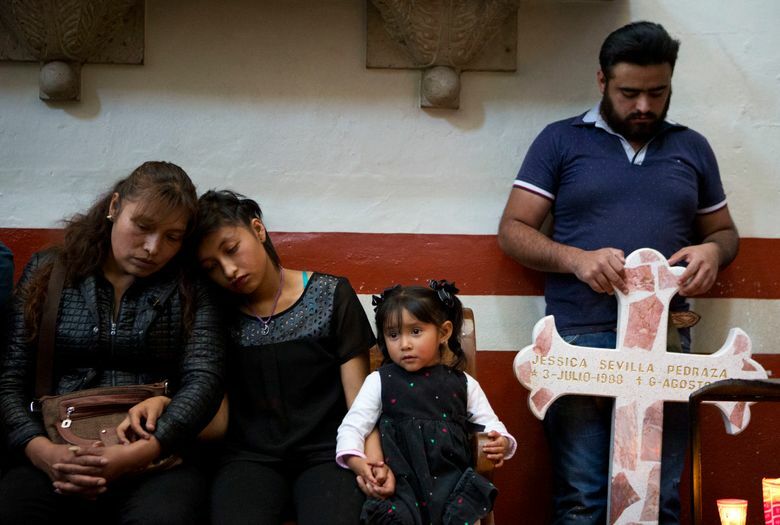 Sevilla’s gruesome death was part of a wave of killings of women plaguing the sprawling State of Mexico, which is the country’s most populous with 16 million residents and surrounds the capital on three sides. 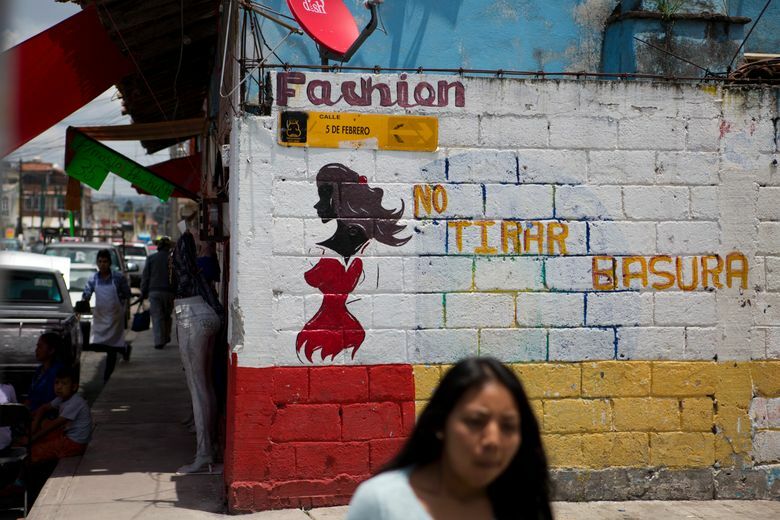 The crisis of femicides — murders of women where the motive is directly related to gender — prompted the federal government to issue a gender violence alert in 2015, the first for any Mexican state, and has recently prompted outcry and protests. Sometimes the deaths are caused by domestic abuse. Other killings appear to be opportunistic, by strangers. Often the bodies are mutilated and dumped in a public place — which many read as a message to other women: There is no safe place, time of day or activity. 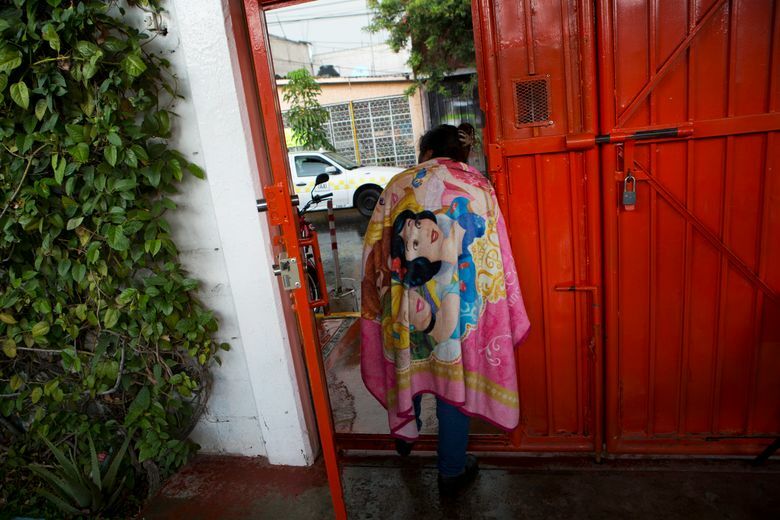 The week before Sevilla’s killing, 18-year-old Mariana Joselin Baltierra vanished when she walked to the corner store in Ecatepec, a hardscrabble suburb of Mexico City. Her body was found in a butcher shop next door; she had been sexually assaulted and disemboweled. The suspect, an employee at the butcher shop, allegedly took the money in the register and fled. He remains at large. In June, Valeria Teresa Gutierrez Ortiz, 11, disappeared in Nezahualcoyotl after taking a public bus home from school. She was later found dead in the abandoned vehicle, partially clothed and with signs of sexual assault. The bus driver was arrested for the killing. Three days later he was found dead in his cell with a cord around his neck. 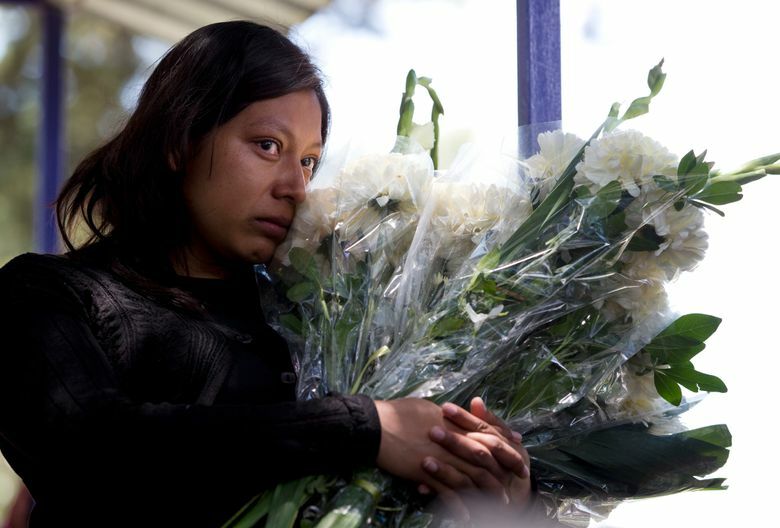 The State of Mexico officially ranks second to the nation’s capital with 346 killings classified as femicides since 2011, according to government statistics. Dilcya Garcia Espinoza de los Monteros, deputy state prosecutor for gender violence crimes, said femicides fell by about a third between January and July this year compared with the same period in 2016, but that can hardly be read as an indicator of improvement. 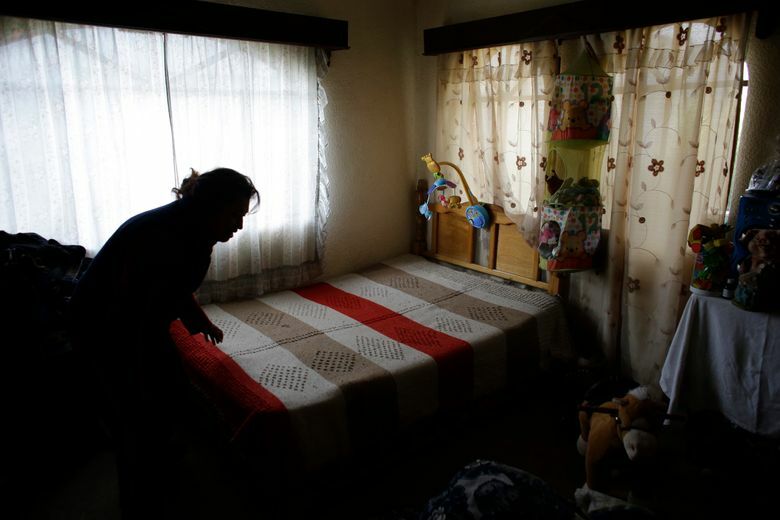 The government’s classification of “femicide” allows significant room for interpretation, and many say the official figures are understated and unreliable. 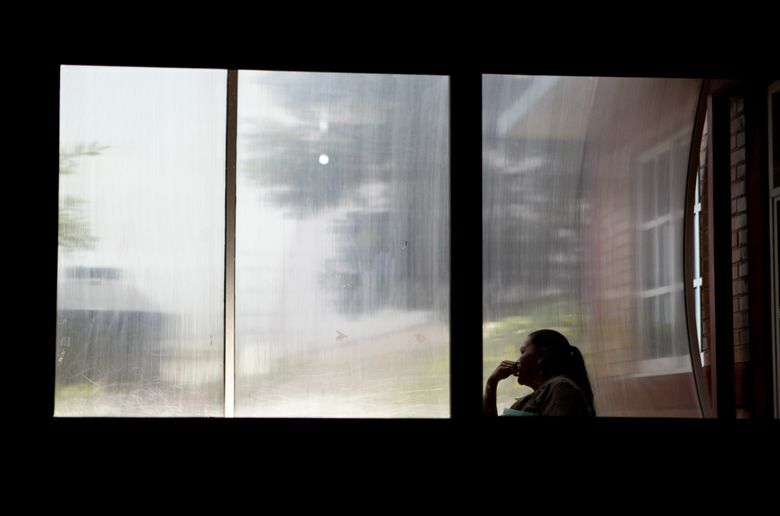 Violent crimes such as disappearances often go unreported and unpunished, and the State of Mexico is widely considered ground zero for killings of women in the country today. The nonprofit Citizen Observatory Against Gender Violence, Disappearance and Femicides in Mexico State counted 263 femicides in 2016 alone. 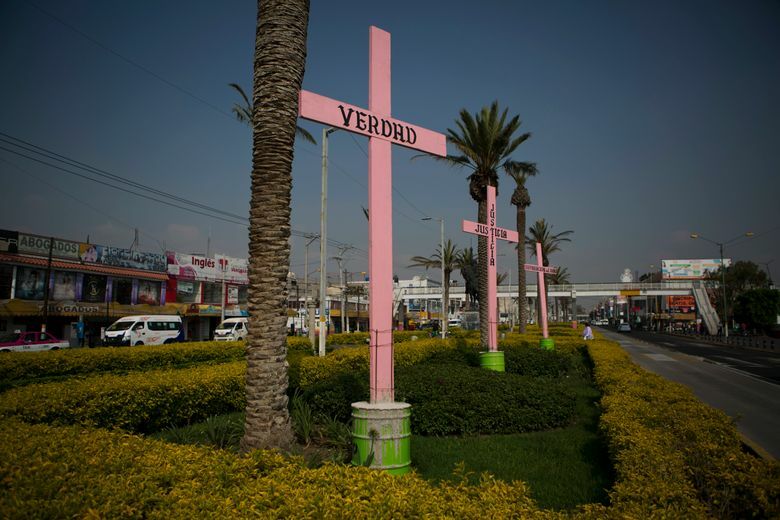 Before Mexico State, it was Ciudad Juarez, across the border from El Paso, Texas, that was notorious for killings of women, with nearly 400 slain there since 1993 and only a handful of cases resulting in convictions. Common to both places are marginalized, peripheral communities with high levels of violent crime, corruption and impunity. 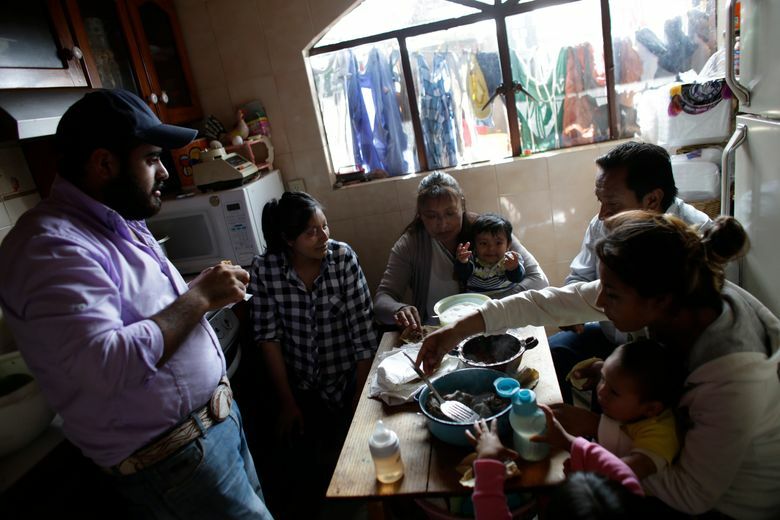 President Enrique Pena Nieto, who was Mexico State’s governor before assuming the presidency in 2012, said during his state of the union address this year that the country’s rising murders have more to do with common crime than organized crime. 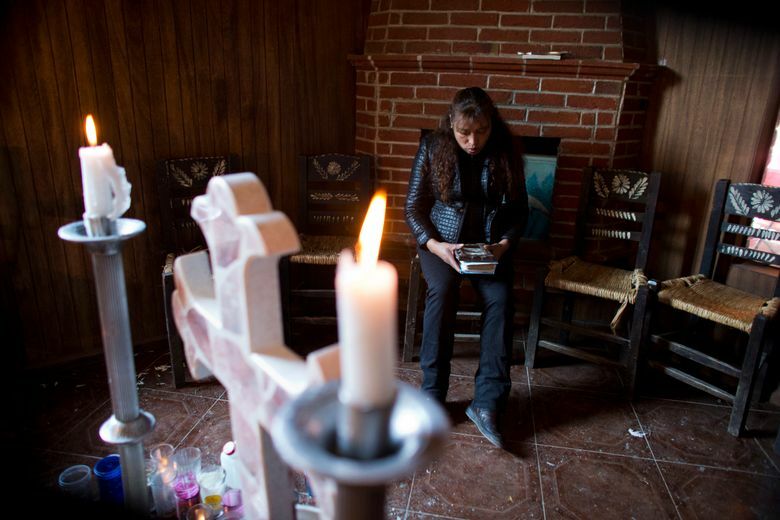 But that has been no comfort for families who grieve for lost mothers, sisters and daughters, and who too often face daunting hurdles when seeking justice. 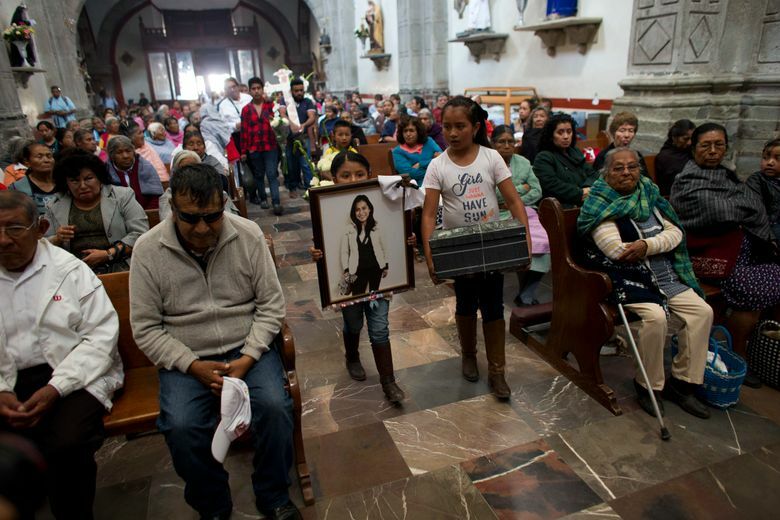 Jessica Sevilla lived in Villa Cuauhtemoc, a small town surrounded by corn fields and empty lots outside the state capital, Toluca, with her parents, her four younger sisters and her 1-year-old son, Leon. The daughter of a truck driver and a shop owner, she went to college and became a doctor, cementing her place as the pride of the family. Her mother said whenever Jessica wasn’t working or working out, she spent her time with Leon. Jessica’s disappearance, on a Friday in August, set off a frantic 48 hours of searching by the family. Under the gender violence alert issued two years earlier, authorities are supposed to investigate any woman’s disappearance urgently. But Pedraza said authorities told her to wait until Sunday afternoon. Ana Yeli Perez, an attorney with the National Citizens’ Observatory Against Femicide, said that sort of response is all too common. “Despite there already being tools that force public prosecutors to issue the gender violence alert, they refuse to launch investigations under the gender violence guidelines,” Perez said. 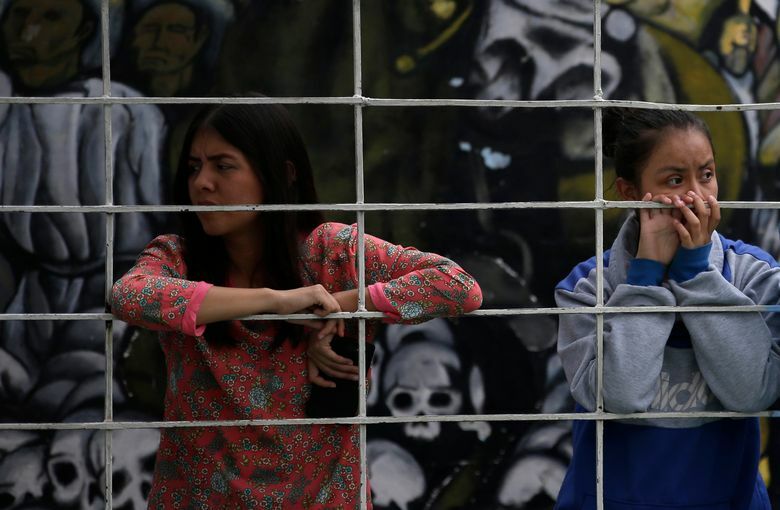 Femicides have been getting increasing attention elsewhere in Latin America as well. 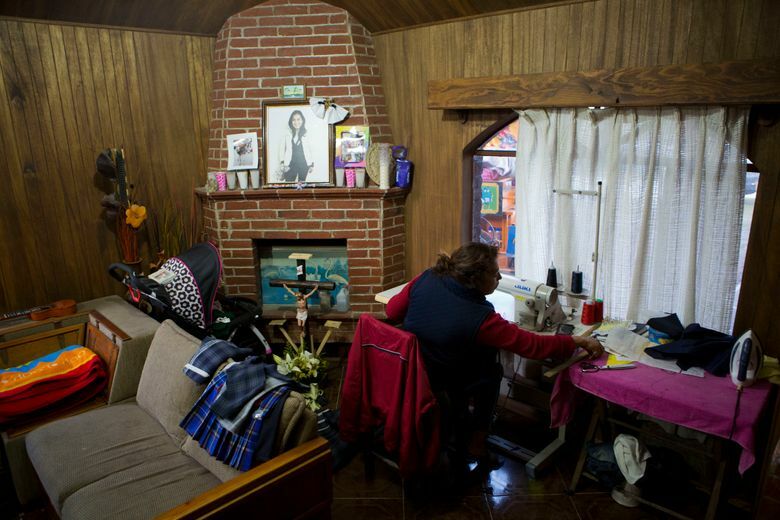 In Argentina, a coalition of activists, artists and journalists started a movement known as Ni Una Menos, or Not One Less, after a spate of killings. The name came from a poem about the killings in Ciudad Juarez by Mexican writer Susana Chavez, who herself was slain in 2011. “Ni Una Menos” has become a widely used hashtag on social media in many places as more women turn up dead — as in the case of 19-year-old Mara Castilla, who disappeared after using a ride-hailing service in the central Mexican state of Puebla. The driver was arrested after it was determined that he never dropped her off at her house. Thousands of people gathered in Mexico City to protest her murder. In Nezahualcoyotl, a group called Nos Queremos Vivas, or We Want to Stay Alive, sprung up after Valeria Gutierrez’s murder. 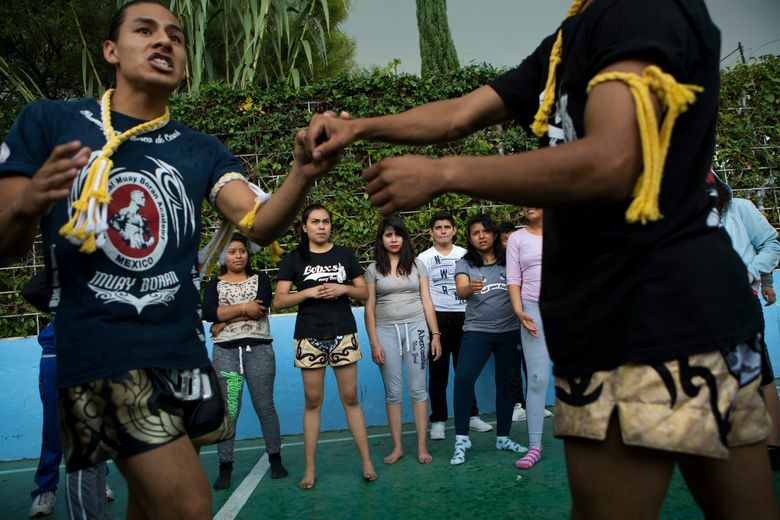 It has organized marches and a self-defense workshop at a high school where 70 percent of the students are girls. At one class, students threw punches and kicks on an indoor soccer court — and talked about learning to be afraid from a young age. “I don’t feel safe. 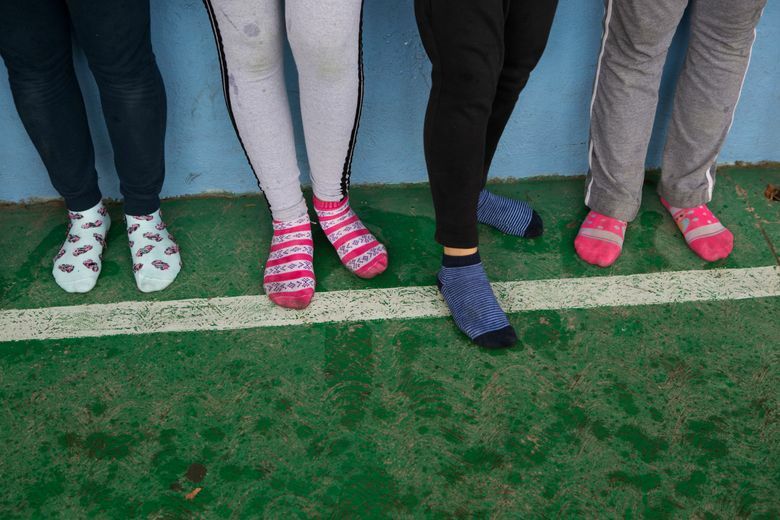 … A woman cannot walk down the street freely because there are always people, men, who start harassing you, who try to touch you just because you’re wearing shorts or tight jeans,” said Monica Giselle Rodriguez, 15. 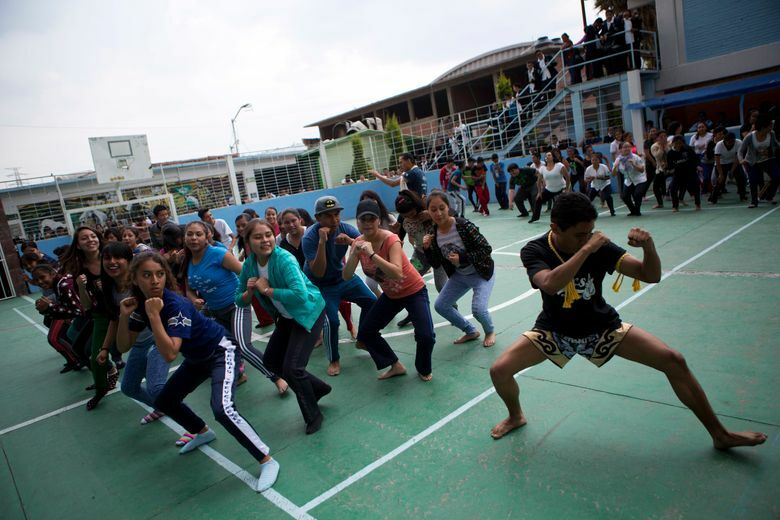 “We want to help them prepare in case they have to defend themselves,” martial arts instructor Cristofer Fuentes said. Jessica Sevilla’s mutilated body was found on a highway about 20 miles (30 kilometers) from where she was last seen alive at a gas station in her red, brand-new Mazda. 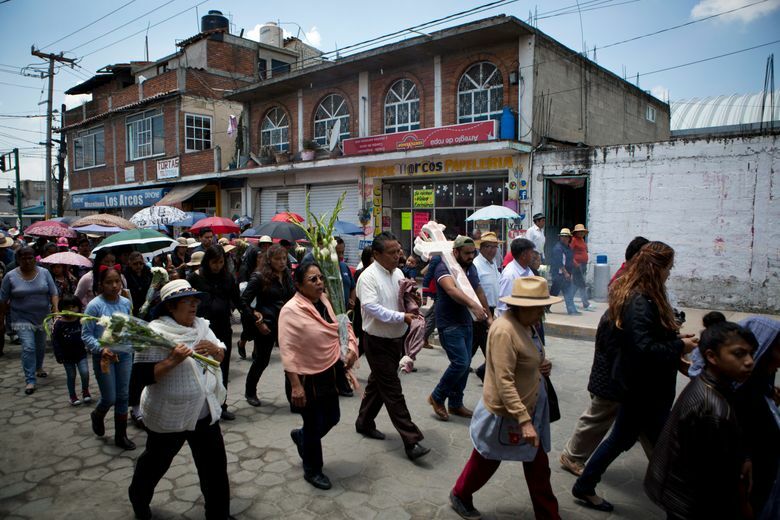 A week after the burial, Pedraza marched across town with family members carrying a stone cross to mark her grave. The murder remains unsolved. Pedraza raised her five daughters to be confident that they are equal to men and that nobody can hold them back. Now tasked with raising her grandson, Leon, she said she’s focusing on the other side of the equation: Schools teach kids to read and write, but other values are instilled at home.